Use both Analog BNC (Round BNC Video Connection) Cameras and our NEW HD Security Cameras with this Digital Video Recorder, In addition to supporting older analog CCTV cameras, this recorder also supports 3 types of new HD Technologies - TVI, CVI, and AHD. Keep your older cameras and transition to our NEW HD Security Cameras (BNC Video Connection) to achieve the latest and greatest in terms of definition and digital zoom performance. As the security industry continues to evolve and embrace higher definition cameras such as 1080p, 2k, and 4k, storing video has become one of the challenges. Naturally, you want to store as much HD video as required. The latest development in video compression helps you save and archive more video than ever before. H.265 compression is now built into ALL our DVRs and NVRs so you can continue to upgrade your cameras, and not sacrifice space on your hard drive. As good as H.264 was for standard definition resolution and and HD resolutions, its ability to evolve to handle the demands of our latest and greatest high-definition imaging formats, such as 1080p, 2K, and 4K is limited since higher definition cameras stored in H.264 creates a proportionally larger file. H.265 expands on the efficiencies of the H.264 compression standard by generating the highest-quality images in the smallest video file possible. What this means to you is a better quality picture and longer storage due to the small video file size. Our new PRO SERIES DVR release supports your BOTH older analog coax cameras and our new higher definition coax cameras and will provide you longer video storage than the older H.264 compression technology. It is not a crime unless you prove it! 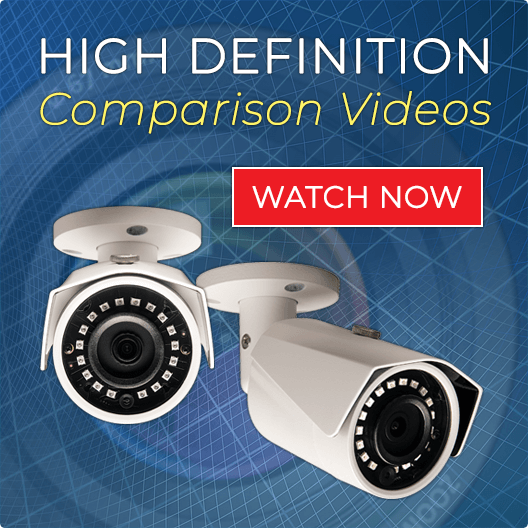 High definition video surveillance recorders with help you prove it. Our recorder will be keeping an eye on your assets 24/7 - in both the day and night. When there is motion, our built in software will send you an automatic alert and snapshot to inform you when and where an event is taking place. The system will store your video surveillance video on the included hard drive, so if you need to review or download video, it will be available at your fingertips. You can conveniently monitor your cameras over PC, tablet, and cell phone devices. Our 16 channel digital video recorder is perfect for any high end surveillance application. THE ULTIMATE HD DIGITAL VIDEO SURVEILLANCE RECORDER! Our DVR Recorders enable you to view your cameras live on your PC, Cell Phone, and Tablet with our Remote Viewing Software and Remote Viewing Free App. Our "PRO SERIES" Digital Video Recorder has a simple user friendly interface, making set up with the mouse (included) a breeze. Our "PRO SERIES" DVR allows you to individually customize your settings both live and remotely over the Internet.Easily search your video monitoring by time, date, or event. Program your DVR to do 24/7 recording, motion recording, or record on a schedule. Customize each camera with the click of a mouse. Our "PRO SERIES" DVR "auto adapting technology" supports several types of surveillance technology.Use older analog BNC (round video connection) security cameras in addition to new HD over coax security cameras to achieve better clarity and zoom recognition than ever before. Record video in Full 1080p with our "PRO SERIES" 16 Channel Recorder. Your DVR is ready to go out of the box when it gets to you! We install the hard drive for you and test the Digital Video Recorder prior to shipping to you.Simply plug in your cameras and turn on the unit.Use the mouse to program and customize your system and camera settings to your preference. We back up all our Digital Video Recorders with a Satisfaction Guarantee, 3 Year Warranty, and Free Unlimited USA Technical Support for the life of the unit. LIVE REMOTE INTERNET, CELL PHONE, and Tablet VIEWING: - Our "PRO SERIES" DVR allows you to monitor your cameras Anytime, Anywhere, and Anyplace! View your Security Cameras on the on the Internet, Cell Phone, and Internet enabled devices. Remote Viewing requires a basic high-speed internet connection. It is Simple, Easy, Safe, and Secure for you to monitor your assets. 24/7 RECORDING, MOTION RECORDING, and SCHEDULED RECORDING: – You decide how you want set up all your settings to record. Save time and hard drive space by recording on motion or schedule. Program your "PRO SERIES" DVR to send an email notification and digital snapshot on cameras when motion occurs. UP to 4MP 1080p High Definition Real Time Live View ON EVERY CAMERA - No more jumpiness or jerkiness in the video that you may have experienced in the past. This DVR is truely "the best in it's class". H.264 VIDEO COMPRESSION TECHNOLOGY - Provides OVER to 3x MORE Video Storage than the old MPEG and JPEG DVRs used in the past. What that means to you is longer video storage capacity, enabling you to review video from prior days and/or months. "Cutting Edge" H.264 Technology also provides you with better video quality both live and over the Internet. COMPATIBILITY - The "PRO SERIES" DVR is compatible with Standard CCTV security cameras and our HD Security Cameras. DIGITAL ZOOM – Our "PRO SERIES” Digital Video Reorders offer Digital Zoom. This helps you to digitally zoom in on a particular area or object. When you use our new HD Security Cameras you will notice better identification and clarity than ever before. 1 CHANNEL OF AUDIO RECORDING - Record AUDIO on up to 1 Cameras with our "PRO SERIES" DVR by adding our optional microphone. MULTIPLE SCREEN DISPLAY OPTIONS - View 1 camera, 4 Cameras, 8 Cameras, 16 Cameras, or up 32 Cameras at a time. There are many multiple screen display options (layouts) to view your cameras on the monitor. For example, you may choose to make one camera larger than some of the surrounding cameras on the display screen - even create your own display grids! SAVE VIDEO TO USB or PC - All of our systems offer multiple recording options in order to save and archive video. Use a USB FLASH DRIVE or email the video to your PC as a file. Send your video direct to authorities as an email attachment. CENTRAL MONITORING STATION - If you have several businesses or homes, you may want to utilize our built in Central Monitoring Station. CMS enables you to monitor all of your locations on one screen. Monitor up 50 of our DVRs over one IP address. SIMPLE TO SET UP - Our Digital Video Recorder is simple and easy to set up and view over the Internet and Cell Phone. Each DVR comes with a Mouse, CD, and Quick Start Guide. We also offer simple diagrams and videos on our Technical Support tab. Use the Quick Start Guide to quickly set up your initial system settings on your DVR such as remote viewing, motion detection, email alerts, and more. If you have any questions call us on our 800# and one of our techs will easily walk you through set up. We stand behind the "PRO SERIES" HD Digital Video Recorder with an INDUSTRY LEADING 3 YEAR FULL WARRANTY! 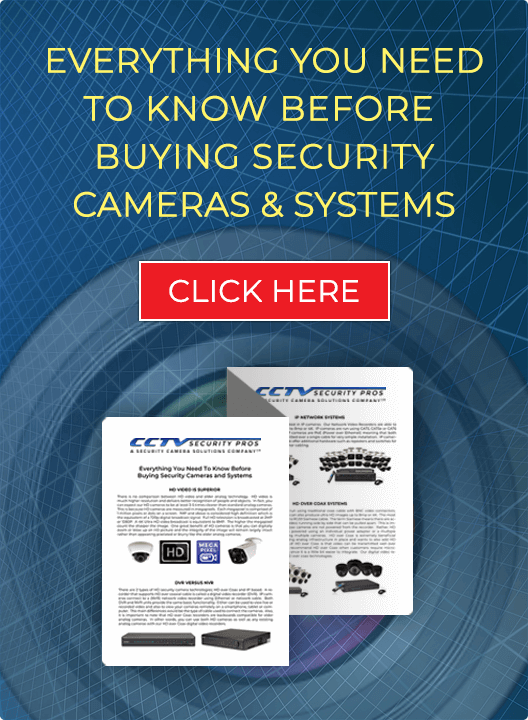 Now that you have a great video recorder from CCTV Security Pros, you need to think about protecting your video recorder from vandalism and theft. After all, the DVR is the "brains" if the security system. It is what stores your valuable data. Some people hide their recorder and some utilize our DVR Lockbox solution.You The USB Fan is connected and powered directly from the USB port on the DVR or NVR unit. The DVR/NVR Lockbox measurements are 24" x 18" x 5". The lockbox is designed to increase the longevity of your unit. "Best recorder I have ever had by far." "This is a professional recorder. My last recorder was more or less a ""toy"" compared to this." "This recorder has a great user interface and is very easy to set up." "I purchased your PRO SERIES Digital Video Recorder. I am very happy with it. I had trouble getting it online, but your tech support answered my questions and had me up and running within 10 minutes. I highly recommend your products." "I have a 16 camera system. Other than the fact I did not purchase a big enough storage drive, I was pleased to find out that your PRO SERIES has 2 hard drive slots. Added another SATA hard drive." "I have several of your pro series recorders since we have been switching out our recorders. They are all running flawlessly. I promised Greg that I would write a review. I really don"t write reviews HOWEVER this is the best service I have received." "Well built, great unit. Andrew promised this was a good unit and held true to his promise. Good company to deal with." "Love the new HD Cameras guys. No comparison to my old DVR and cameras." "Been meaning to say thank you to Dan and the team. I am no expert but he was patient, even dialed in and set me up on my computer and phone. He made it easy for me. I am very impressed with your support." "So easy to set up - loved the P2P QR Code - so simple to set up my cell phone as well as my business partners." "Like that I can use my old cameras and use your HD cameras. That is a great way to provide your customers a way to upgrade their existing system. Thanks for not leaving us in the dust." as always great product and very fast shipping. thanks very very much for the loyalty discount. 3rd one purchased in a year. By far better than any others we've used. Easy to use software, system setup was a breeze. This has to be one of the best CCTV digital recorders on the market for the money. Most importantly, U.S. based customer support with friendly staff. This is a drastic upgrade from my prior dvr. Was basicly unpack, connect and go. The system lasts a long time and has worked for me consistently. I would recommend this system. Simple initial setup! Currently has all analog cameras with siamese coax and OLD ADT 8 camera system. I chose this unit for the ability to use my existing infrastructure. Improved even my analog cameras. Plan on expanding all to the HD cameras. Mobile and desktop software is simple to use. Thanks guys! I had a system previously and the DVR was really bad. Mouse was slow and interface looked more like a toy. Now I see that there are professional equipment out there with great interface. I cannot express to you how happy I am that I found your company. When Mark recommended this recorder I was not sure what to expect and I am presently surprised. This is a phenomenal recorder and I will be replacing all the others thoughout my businesses. Thanks. Have several of your DVR units. best in the business. my customers are very satisfied so I am happy too. Also nice that my customers can call your support line for questions - frees me up quite a bit.